We have an inventory of over 90 professional light effects which includes moonflowers/Gobo effects, moving heads, lasers, scanners, LEDs and colour washes. With over 70m of Tri-lite rigging in stock we can cater to any party size. 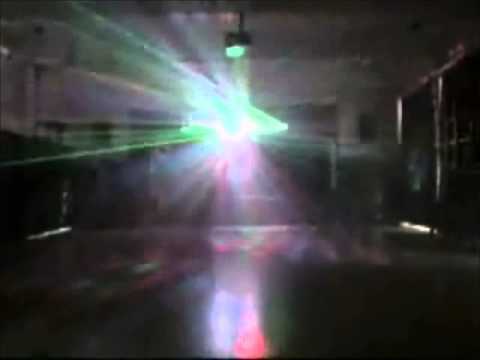 So whether you are hosting a small informal party at your local pub or your dream wedding in a marquee to a charity ball or corporate event for several hundred we have the disco rig for you. (One size does not fit all). We can also put together custom rigs to suit your requirements and will choose the lighting to get the best effect at your venue. Standard Disco Rig – Is our most popular rig size and has been designed to cater for most party requirements to suit audiences of up to 150 guests. The rig varies in size from 2m, 3m or 4m sections of Trilite trussing to best fit the space available. The rig comes with a selection of up to 7 high-powered professional light effects and a sound system to suit the venue size or your requirements. This rig can be set-up within an hour in most circumstances. 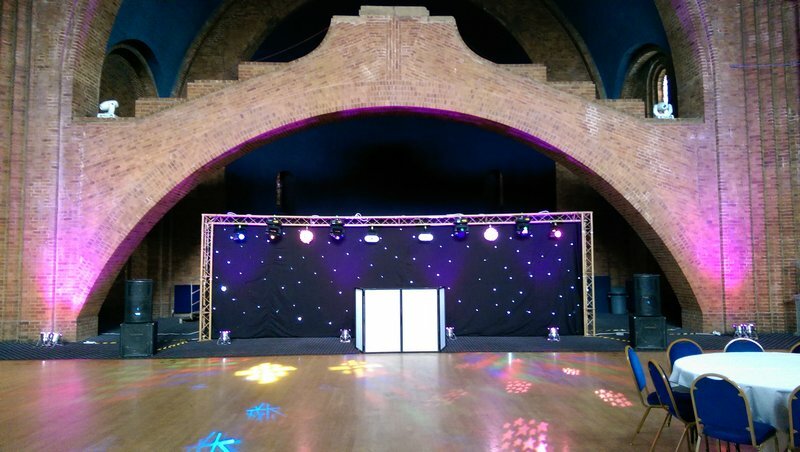 Large Disco Rig – Ideal for larger venues that can hold over 150 guests this rig is in the same style as the standard size but is 50-100% bigger. The rig using either 6m or 8m sections of Trilite trussing to best fit the space available and comes with a selection of upto 12 high powered light effects and a bigger sound system. 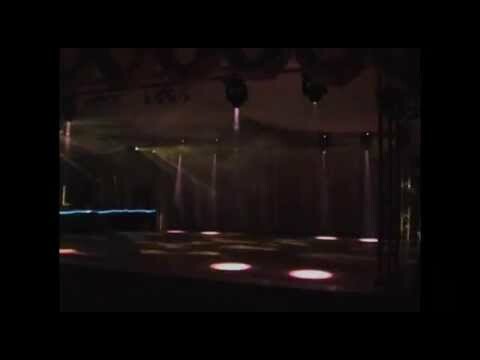 Night Club Rig – Our unique mobile night club rig surrounds the dance floor with lighting coming from all directions to create an unbeatable atmosphere giving you that ‘wow factor’ at your event. The rig is made up from Trilite trussing and varies in size from 4m x 4m right upto 8m x 8m with many shape and size combinations in between to fit around the dancefloor. The rig comes with a variety of light effects to suit the size, minimum of 16 high powered effects. This rig requires a minimum ceiling height of 3m and 2-3 hours to set-up depending on size and venue accessibility. *We will use fog machines to enhance the lightshow at no extra cost if you wish and if the venue permits.